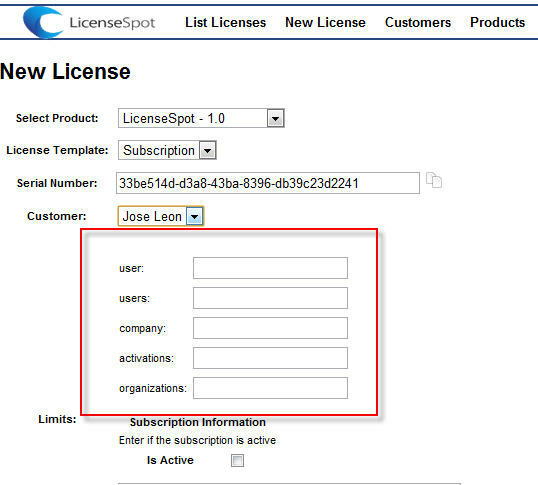 LicenseSpot handles every aspect of online activation for your software application. It generates the serial number a provides a set of APIs that you can integrate into your application. The activation can be attached to hardware so it is locked and cannot be moved. 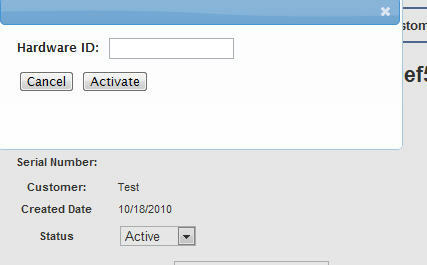 Other features supported are: grace periods and a maximum number of activations can be specified for a specific license. 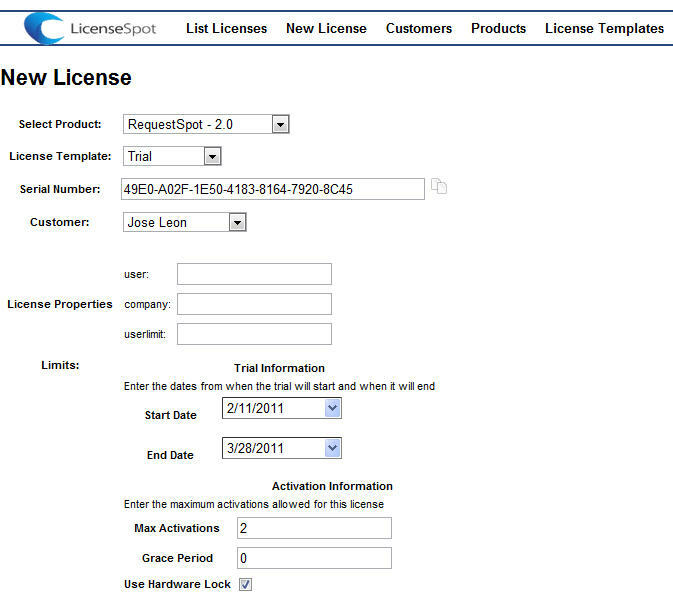 LicenseSpot creates unique global serial numbers automatically for your applications. These serial numbers are used to activate a license on our servers and generate licenses for your app. 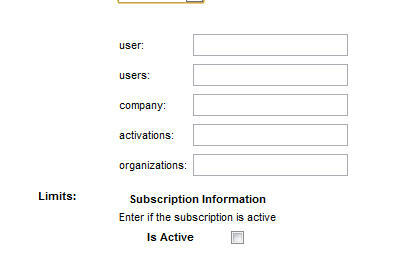 Also, identifies a user of your software and allows you to deactivate the license if necessary. Manual Activations allows licenses to be activated for users than don't have an internet connection to our servers. Activation can be done via telephone or email. Hardware locked licenses can be also manually activated the user sending the hardware ID automatically generated by the application. 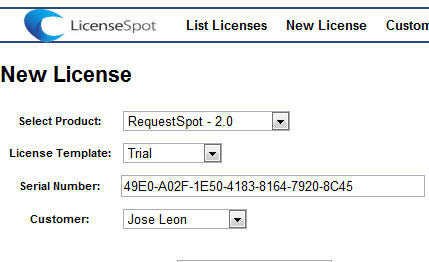 Custom fields allows you to personalize licenses. 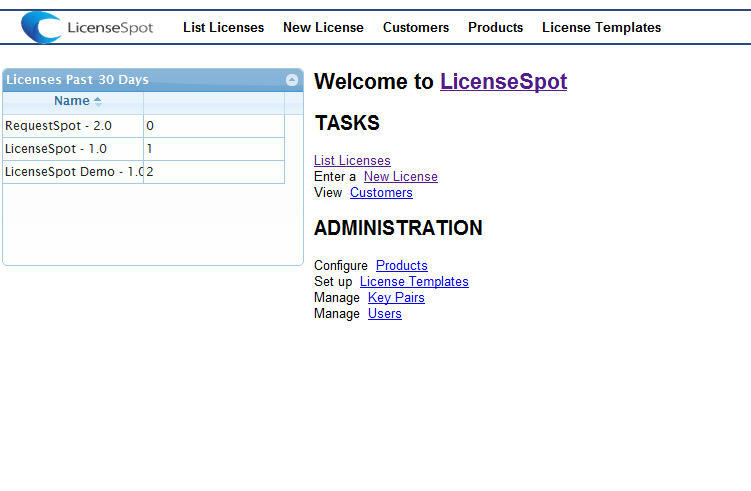 Meta-data about how to enforce your license can be configured. Unlimited fields can be configured. For example: users allowed, features activated, etc. With custom properties, unlimited options can be configured for licenses. For example, you could restrict the number of users that can use your application using a custom field for storing this information. Also, what features can be used in your application. This fields can be retrieved and set remotly using our API. You might need this when integrating with your e-commerce store. 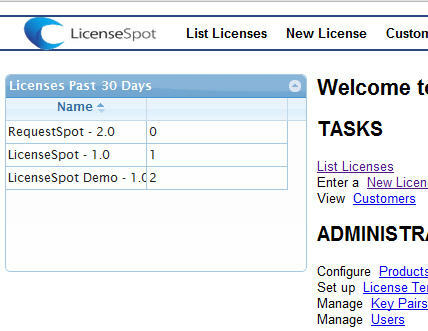 LicenseSpot is a product from SkyXoft Technologies, a company that has been providing software services to companies for over a decade. © Copyright 2019 SkyXoft Technologies, Inc. All rights reserved.